The Energy Infrastructure Update from FERC show that wind, solar, biomass and hydropower provided 88.2 percent of all newly installed electrical generating capacity in the U.S. for the month of May 2014. 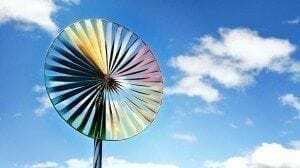 Two new units of wind power provided 203 megawatts (MW) of capacity, five units of solar brought 156 MW, one unit of biomass 5 MW and one unit of hydro provided 0.2 MW. To contrast, there were no new generating units of coal or oil and two new units of natural gas provided only 49 MW of new generating capacity in May. Put another way, renewable sources of energy provided more than seven times of new generating capacity than non-renewable sources. For the 3,136 MW of new generating capacity installed in the first five months of 2014, renewable sources account for 54.1 percent. Broken down between energy sources is solar with 907 MW, wind at 678 MW, biomass with 73 MW, geothermal came in with 32 MW and hydro with 8MW. During that same period natural gas had 1,437 MW of new capacity, oil one MW and another one MW from what is termed as “other.” Coal and nuclear power provided no new generating capacity. On the other hand, the latest EIA Electric Power Monthly report shows that while renewable energy consumption in the U.S. rose by 4.36 percent for the first quarter of 2014 as compared with the same period of 2013, fossil fuel consumption increased 5.17 percent in first quarter 2014 compared with first quarter 2013. CO2 levels are 5.48 percent higher now than in 2013 (the monthly average atmospheric CO2 levels recorded at the Mauna Loa observatory stood at 401.85 parts per million for May) and 10.52 percent higher than in 2012.